Call 212 645-8151 for Spinal Decompresion in Manhattan. If you have been told you need an back surgery get a second opinion. Non Surgical spinal decompression has been proven to be effective treatment for herniated disc. 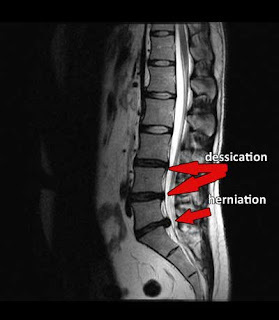 I attached a picture of a L-3 disc herniation. I will start posting Pre- and Post MRI's on both my website www.drshoshany.com and this Blog. If you have a MRI in a digital formatIwould be happy to review it.